“They blessed Rebekah and said to her, ‘Our sister, may you become thousands of ten thousands, and may your offspring possess the gate of those who hate them!’” (Gen. 24:60). Money, pleasure, and power are among the pursuits of our secular culture. But who looks for the blessing of the Lord? Sure, political parties say “God Bless America,” but most people, in their choices, show that they care little about His favor or judgment. This is far different from the ancient Near East where even pagans sought the blessing of their deity. The blessing in view was always regarded as tangible and measurable in the lives of those upon whom it was supposed to rest. Those who served the one, true God were especially desirous of the Lord’s blessing. To stand in the line of Abraham and Sarah was a privilege, and so the Israelites wanted to know their ancestors inherited the favor shown to this holy couple. Earlier events prove Isaac received the patriarchal blessing to pass it on to his children (Gen. 21:1–22:19). Today’s passage shows us Rebekah is the next matriarch after Sarah. First, Rebekah’s name alludes to her favored status. Berakah is Hebrew for “blessing” and has clear phonetic affinities to Rebekah. Even clearer is the close similarity between “ten thousand” in verse 60 (rebabah) and the given name of Isaac’s wife. Plainly, the Lord chose Rebekah to bear grandchildren for Abraham long before she met the patriarch’s servant. More significant is the blessing itself. Rebekah has shown herself to be like faithful Abraham, leaving her home to go to a country unknown to her (Gen. 12:1–9; 24:58; Heb. 11:8). Consequently, she shares his blessing. Her descendants will be many and her offspring will “possess the gate of those who hate them!” (Gen. 24:60). 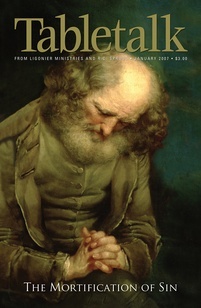 As John Calvin informs us, this means her descendants will “obtain dominion over them [their enemies]; because judgment was administered in the gates, and the bulwarks of the city were placed there.” God’s promise to bring conquering kings forth from Abraham’s loins (17:6; 22:15–18) is now passed on to the children of Isaac and Rebekah. Those in Christ, Abraham’s greatest seed, also share this blessing (Gal. 3:16, 29). Today we sit with Jesus in heaven and reign over the unseen world of good and evil spirits (Eph. 2:4–7). And when He returns, we will rule with Him over the earth (2 Tim. 2:11–12a). In the time between Christ’s first and second advent, our triumph over the Lord’s enemies is made manifest primarily through our spiritual warfare. Any time a sinner that we are praying for turns to Jesus, every time a fallen believer repents under the work of church discipline, we see evidence of the Savior’s conquering power in our lives. Are you seeing spiritual victories in your life? If not, it may be due to a lack of prayer and initiative in proclaiming the Gospel.